Welcome to the Dream Center & Energziers Dance Team online registration! Please provide your information below and click "Submit" when done. Credit cards or Bank withdrawals are NOT charged at this time. I, the parent/guardian of the participant, a minor, certify by agreeing to these terms that the above information is correct and grant permission for the participant to participate in the Dream Center, LLC . I also agree that I and the participant have read and agree to abide by the rules and regulations of the Dream Center, LLC as listed in the Handbook for Studio, Energizers Competition Teams, and School programs when registered for classes pertaining to those handbooks. I am aware of and understand that there may be risks inherent with participation in this activity and am doing so as a voluntary participant. In consideration of my participation or participation of the minor I do hereby agree to the fullest extent of the law, to indemnify, discharge and hold harmless, as evidenced by my signature below, the Dream Center, LLC , Dream Center Properties, LLC, and it's employees, directors, coaches, participants and volunteers, as well as it's affiliated organizations, sponsors, their employees and associated personnel, including the owners of facilities utilized for the Programs, from liability for injury, death or loss suffered by me or the minor in any and all present and future claims, liabilities, damages or right of action directly or indirectly resulting out of participation in the activity. The Dream Center, LLC does not provide accident insurance to participants in programs and I assume full responsibility for any and all damages which may occur to me while participating. As the parent/guardian of the above named participant, I hereby give consent to the Dream Center, LLC or emergency medical care prescribed by a duly licensed Doctor of Medicine or Doctor of Dentistry. This care may be given under whatever conditions are necessary to preserve the life, limb or well being of my dependent. Attendance is expected for all classes. Regular attendance will encourage your student's progression and skill development. 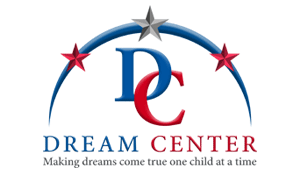 In the event your child will be absent please notify the Dream Center within 15 minutes of the start of class. If at any time your child appears sick or to have a problem that our staff cannot adequately handle in class, the instructor has the right to ask a parent to take the child out of class, especially in regards to potty training accidents or illness. This policy is for the benefit of both your student's positive self image and for those other students in the class. In the event of a snow closure by the Hartford School District, the Dream Center will also be closed but may be reopened for classes later that day depending on road conditions. Closures will be announced on the website, on our telephone greeting, and on the local news stations. In compliance with state health requirements, only licensed and approved guide animals are allowed inside the facility. I do hereby consent and agree that the Dream Center, LLC , its employees, or agents have the right to take photographs, videotape, or digital recordings of me and/or my child and to use these in any and all media, now or hereafter known, and exclusively for the purpose of advertisement and social media. I further consent that my name and identity may be revealed therein or by descriptive text or commentary. I understand that there will be no financial or other remuneration for recording me, either for initial or subsequent transmission or playback. I represent that I am at least 18 years of age, have read and understand the foregoing statement, and am competent to execute this agreement.